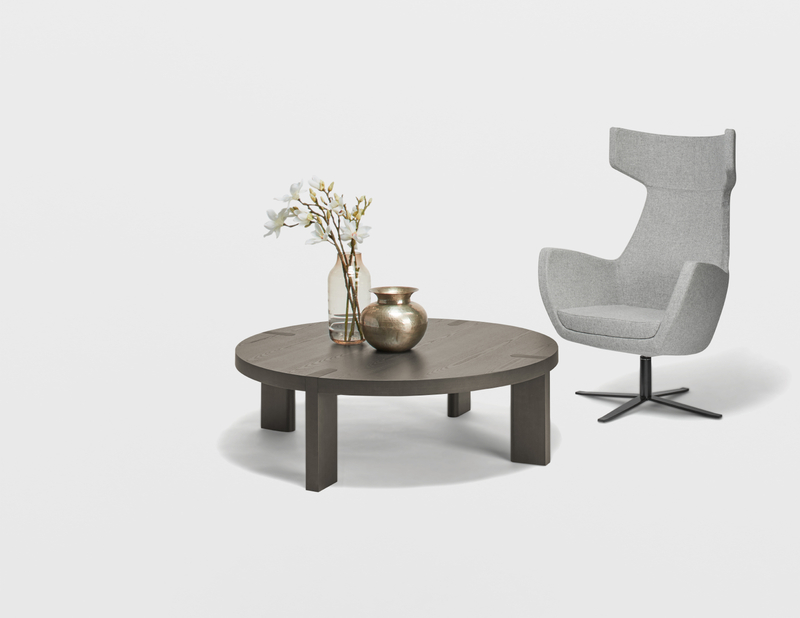 This rounded coffee table matches the dining table in the same model JS40. 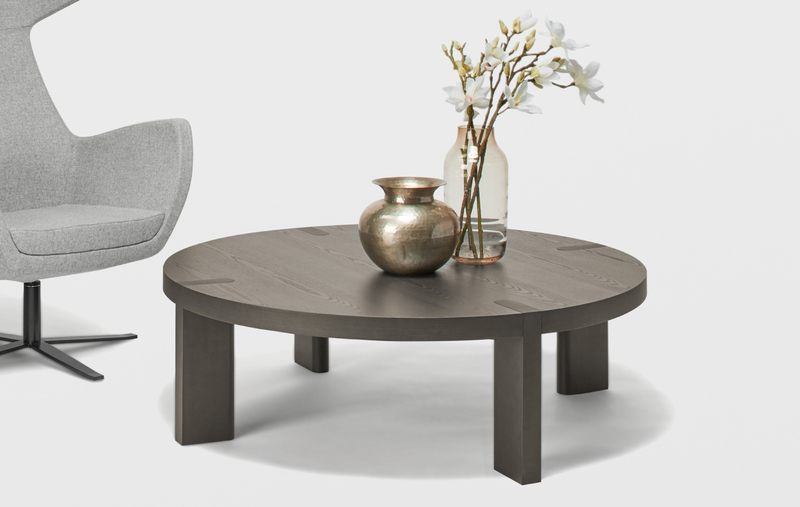 The beautiful crafsmanship is the table support inserted into the top of the coffee table. The precise milling confirms the quality of the craftsmanship. The round coffee table belongs to the favourite classical ones, not only in Czech homes.